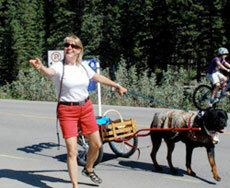 Kim has been a member of the Canadian Kennel Club since 1986. Currently is the Obedience Chairperson for Evelyn Kenny Kennel & Obedience Club. Member of the Cal K9 Obedience Club of Calgary. Kim trains her dogs on a weekly basis with a group of people we call “The Diehards” . They have enjoyed training together for 15 years or more! There is always more to learn! Kim is also a director and great supporter of SARR Southern Alberta Rottweiler Rescue. 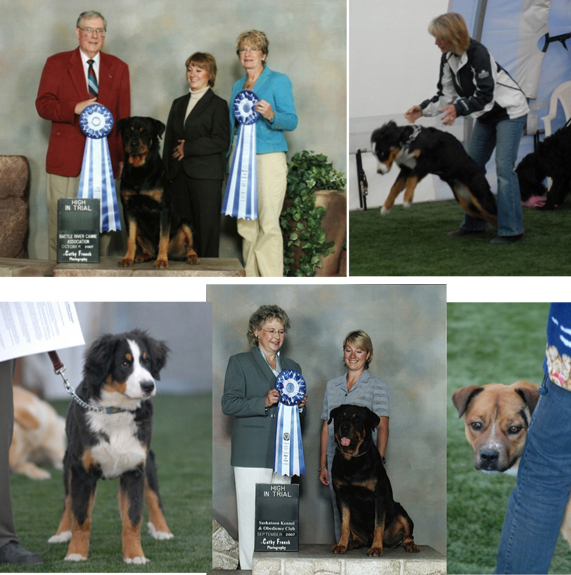 Kim and her dogs have earned titles in Conformation, Obedience, Tracking , Draft Work, Schutzhund, and Rally O. Since 1986, she has put over 30 different titles on 6 dogs. Kim volunteers for the Cochrane Humane Society doing Nail trims at the Pawticure. 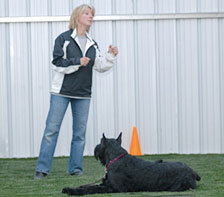 Kim continues to educate herself by attending workshops and seminars in obedience training, tracking and carting. More importantly she learns constantly from hundreds of great clients and their dogs she helps train year after year. When You Love What You Do, You Will Be Successful At It!